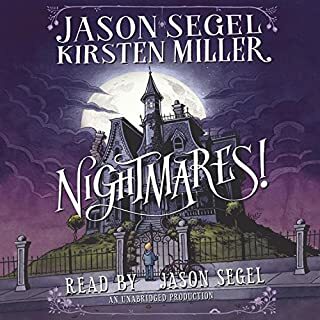 Jason Segel, multitalented actor, writer, and musician, teams up with New York Times bestselling author Kirsten Miller for the hilariously frightening middle-grade novel Nightmares!, the first book in a trilogy about a boy named Charlie and a group of kids who must face their fears to save their town. Sleeping has never been so scary. And now waking up is even worse! Charlie Laird has several problems. 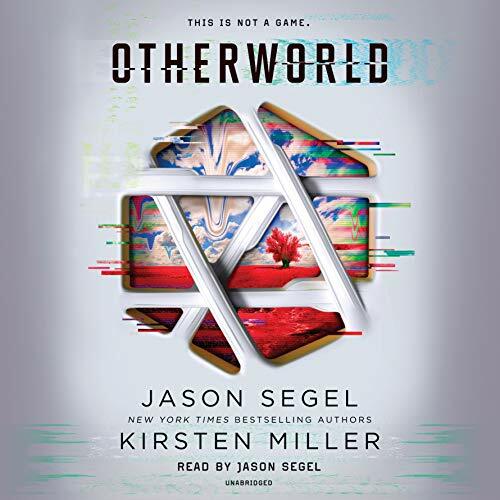 For fans of Black Mirror and HBO's Westworld, Otherworld is the first book in New York Times best-selling authors Jason Segel and Kirsten Miller's new YA sci-fi-thriller series. The future is now. And the future is terrifying. There are no screens. There are no controls. You don't just see and hear it - you taste, smell, and touch it, too. In this new reality, there are no laws to break or rules to obey. You can live your best life. Indulge every desire. While I normally dislike the author reading his own story, Jason Segel does a great job of bringing his characters to life. However, his orc sounds suspiciously like monster with a fondness for cookies. I think that comparing this story to Ready Player One is unfair. The only thing in common with it would be the virtual reality. The majority of the plot does not even take place in the video game. Otherworld is more of a setting for the characters to be in another realm and it is not described like video games in most litRPG books. And the parallels to Dante's Inferno seem evident throughout the book and it addresses similar themes. 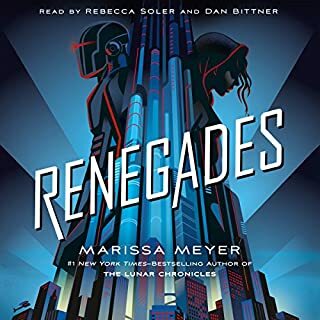 You can find a summary in other reviews, but I would recommend this story to anyone looking for a story with a young protagonist who had his morals challenged over the course of his journey while trying to save the one thing he cares about. It is near-future sci-fi with great characters. 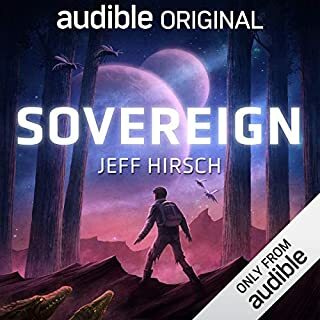 This book is fantastic and I couldn't stop listening. I was listening to the audiobook while on a hike and next thing I knew it was raining, and I'd walked nine miles. Jason Segel is the most talented narrator I think I've ever listened to, and I listen to a lot of audiobooks. He brought the story to life. It felt like I was watching it happen. He and Kirsten Miller created an incredible story and made it colorful and real, and his narration took it up another notch. Listening to Otherworld has been a fantastic experience. I've enjoyed every minute of it. Can literally anyone be a NYT bestselling author these days? This book kept me interested and listening because I was curious to solve the mystery and find out what would happen. However, the characters are extremely weak and the writing, overall, was amateurish. It reminded me of my days reading fanfiction online. The dialogue is sometimes painfully bad. And the main character's only reaction to anything is anger, even when anger is a nonsensical reaction. It reads as if the authors had no editor and never bothered to re-read the work after finishing it. If they had, one would think they'd realize the anger reaction was more repetitive than intended and attempt to add more depth to the protagonist. But that's not what happened. Simon fails to grow or mature as a character during the story and nothing about him screams &quot;the one&quot; to me, which makes the whole premise of the narrative hard to believe. Another character, Busara, is equally poorly developed. [**SPOILER ALERT**] I wanted her to be the fearless/ruthless person pulling the strings to bring down the Company's scheme, but instead she is wishy-washy and unsure of what she's doing. One particularly pivotal conversation between her and Simon was so poorly written that it annoyed me into writing this review. Some editor somewhere dropped the ball on this one. The result is a good and enjoyable story in an unpolished package by a writer who seems to lack maturity. The narration is equally lackluster. I enjoy fantasy and science fiction but I think I was outside the target demographics for this book. I would recommend to a middle school reader. Otherworld by Jason Segel is a debut YA fantasy novel. Otherworld is a new virtual reality game where several people have access to the prototype. Simon, whose parents are very wealthy, is able to buy two of these virtual reality sets. He is trying to win back his best friend Kat and hopes to talk to her in Otherworld. After an accident, Kat is in a coma and a new type of VR is being tested on her. Simon realizes something is wrong and needs to find her in this new world immediately. What will Simon sacrifice to find the only person he's ever cared about? Welcome to Otherworld 2.0. This is the new, upgraded version of Otherworld created by Milo Yolkin. A lucky two thousand gamers were chosen to test it, and Simon was able to get two. He gave one set to his best friend Kat who, for some reason, is ignoring him. After a night in Otherworld, Simon finally finds Kat and briefly talks to her. He's hoping to find her again in Otherworld, but his parents find the device, he bought without permission, and destroys it. Now Simon has to try to get Kat's attention in the real world. He finds out she will be attending a small party and Simon gets there early to see what's really going on with her. During the party, a terrible accident causes Kat to go into a coma. At the hospital Kat is introduced to the newest prototype for Otherworld in the form of a disc. There are no haptic gloves or visor, the disc goes on the base of the skull and your transported into a serene world more advanced than Otherworld. 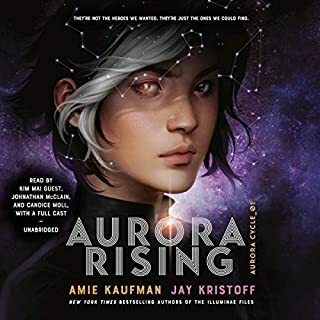 Simon knows something is not right and after being removed from Kat's side in the hospital, he's determined to find her in this new world. Mysteriously receiving a disc of his own, Simon enters the new Otherworld in order to find Kat. He meets three people when he transported into the world and alongside him, they set to find Kat and the exit to this world. However, Simon is warned that in this world if he dies, he may die in the real world. Is Simon willing to sacrifice his own life in order to save Kat? Is he willing to out the other lives in danger in order to find a way out? Is Simon strong enough to carry out his mission? Otherworld by Jason Segel is his debut novel. I do congratulate Segel on creating a unique story for his first book. I feel like the description given for the book though did not match the story. I was expecting something completely different when I read this book. I found the beginning to be a little boring because the first half was done in the real world and I wasn't expecting that from the description. Some parts seemed overdrawn and unnecessary. This book is the first in a series and I'm not sure what to expect from the second book. So far, I felt like this would have been more successful as a stand alone. I found the main characters be a little meh (haha only adjective I could think of). Simon is a little annoying and whiny at some parts but he does have redeeming moments. Kat isn't in the book long enough to form an opinion. I honestly like the side characters more. The three people that Simon run into are my favorite. They add humor and give the emotional connection needed for the story. I give Otherworld by Jason Segel 3 out of 5 stars. For his first novel, the story was great and unique. I feel like this would have been stronger for me if the description was better. This caused an expectation that wasn't met. I also feel that this may have been more successful as a standalone as that I'm not sure what the rest of the series can be about. The main characters fell a little short for me as well. 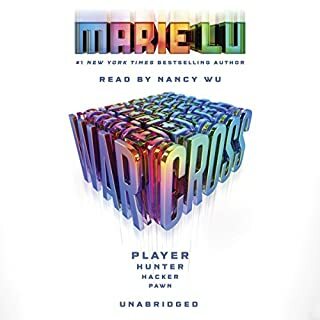 I do recommend this novel for a light, entertaining read and have little expectations of this being a big virtual reality world book. There is a reason why Jason Segel is such a successful actor. He truly brings his words to life through the audio. I think I enjoyed the story more because of the way he narrated it. 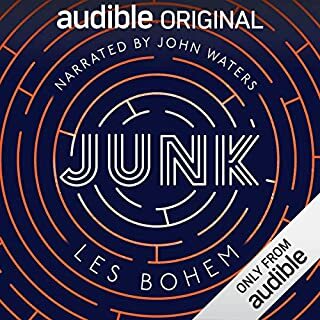 I would highly recommend this audio if you are looking to dive into this world. What disappointed you about Otherworld? The story overall was ok, but could've ended fairly well with another few chapters; no real reason to make this a series. What three words best describe Jason Segel’s performance? Jason Segal narrated all right, i suppose, but this story is garbage. By the second and third act, I was already tired of Simon who is only capable of one emotion: anger. Horrible character development. 1/5 will not recommend, will not read sequel. struggled to get through the first 5 chapters it was a bad version of ready player one. Loving this book. SAO meets RPO and the child is it's own beautiful creature now. Not that I think Jasom Segel really meant to take elements from those two, but it reminds of both while still just being it's own awesome thing. Definitely a good read. looking forward to the next book. I've recommended it to many. hopefully there will be a movie. I loved the characters.